THE PIG-at Combe, just outside Honiton, is really a restaurant with rooms. With an obsessive commitment to home grown and local produce, THE PIG-at Combe celebrates the seasons and uses only the best, freshest and most authentic foods and ingredients. Our surroundings influence our food in every way, what cannot be grown in our walled Kitchen Gardens is sourced from within a 25-mile radius. Our Kitchen Gardens are waking up after winter, and the warmer days call for garden spring cleaning. Tuck into the freshest harvest of spring shoots and 25-mile ingredients from Devon’s countryside and coast with our delicious Spring ‘Plot to Plate’ set lunch menu. Facebook: Like our page, like our post and tag a friend you’d like to have lunch with. Sharing is always appreciated but not part of entry as per FB rules. Instagram: Tag a friend you’d like to have lunch with as well as using hashtag #diningdevoncompetition & #thepigatcombe – and tell us your favourite dish or food item to eat in Spring. 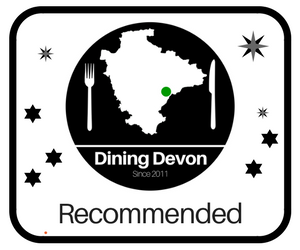 Subscribe: sign up to Dining Devon newsletter here, and you will gain a bonus 2 entries. Competition will run from Friday 12th April 6pm until Tuesday 23rd April 12 midday. Winner will be announced within 2 working days and will need to provide their email address within 2 days of notification otherwise another winner will be drawn. One winner will receive a Plot to Plate Spring Set Lunch for 2 voucher, to include a glass of English Fizz each. Open to UK residents only, aged over 18. Prizes are non transferable, non exchangeable and have no cash alternative. One entry per person; you can enter on any of Dining Devon’s social platforms. BUT if you sign up to Dining Devon newsletter here, you will gain a bonus 2 entries. Meal for 2 at THE PIG-at Combe restaurant only, no further drinks included. 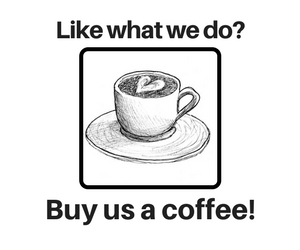 One use only, not transferable and not valid in conjunction with any other offer. Valid for six months from close of competition. Valid as specified in the competition.